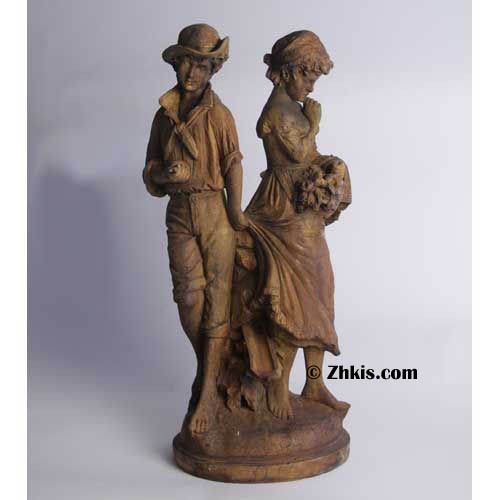 Young lovers statue. Features to young coming of age young teens. This is a heart felt piece showing the young couple. Shy and not so confident yet as they look away from each other. And as the boy is tugging on her dress. Very sweet, also shown here in full color.